"For readers who long for strong families that know how to truly enjoy life together, there is much to learn from the Amish. Values like community, forgiveness, simple living, obedience, and more can be your family legacy--without selling your car, changing your wardrobe, or moving out to farm country. In Amish Values for Your Family, bestselling author Suzanne Woods Fisher shows how you can adopt the wisdom of the Amish when it comes to family matters. In this inspiring and practical book readers will find charming true stories interlaced with solid, biblical advice about parenting, marriage, and all aspects of family life. As readers get an intimate glimpse into the everyday lives of real Amish families, they will learn to prioritize what's truly important, simplify decision-making, slow down as a family, safeguard time together, and let go when the time comes." "[Suzanne's] interest in the Amish began with her grandfather, W.D. Benedict, who was raised Plain. She has many, many Plain relatives living in Franklin County, Pennsylvania, and travels back to Pennsylvania, as well as to Ohio, a couple of times each year for research. Suzanne has a great admiration for the Plain people and believes they provide wonderful examples to the world. In both her fiction and non-fiction books, she has an underlying theme: You don't have to "go Amish" to incorporate many of their principles--simplicity, living with less, appreciating nature, forgiving others more readily-- into your life. When Suzanne isn't writing or bragging to her friends about her first new grandbaby (! ), she is raising puppies for Guide Dogs for the Blind. To Suzanne's way of thinking, you just can't take life too seriously when a puppy is tearing through your house with someone's underwear in its mouth. Suzanne can be found on-line at www.suzannewoodsfisher.com." To celebrate the release of Amish Values for Your Family, Suzanne has teamed up her publisher Revell Books to giveaway a Kindle, and with Bill Coleman (the amazing photographer used on Suzanne’s book covers) to give away a signed Bill Coleman original. Click on one of the icons to enter. Winner will be announced on 9/2 at Suzanne’s blog. Be sure to stop by the blogs on Suzanne’s blog tour – many have copies of Amish Values for Your Family to give away. But, wait there's more! 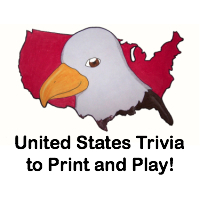 Suzanne is running a Bill Coleman caption contest during the month of August on her blog. Title one of Bill’s gorgeous photos for a chance to win a print from Bill’s Amish Photo site and/or a copy of Amish Values for Your Family. There are so many chapters in this book that I could really take to heart and use in my own life, and I see many similarities between Orthodox Jews and the Amish. For one, we know that G-d is running everything and that we are put on earth to do His will. For another, we dress modestly and speak "cleanly." But there are so many things that the Amish do that honestly should be done by everyone. "[The mother's] day didn't go as planed, but for her sons, the day unfolded in just the way they needed. Time to grieve and time to move on. [The father] knew his sons needed the pups - even more than they needed a burial. When your day doesn't go as planned, stop and take a breath. Look for the underlying cause for the day's derailment - it's quite possible that you are trying to hard to accomplish one thing and altogether missing the more important thing. The good is often the enemy of the best. The Amish have a saying: 'A sense of humor is like grease in the wheels of life.' How does having a sense of humor help when faced with such a day as [this mother's]? The next time you feel overwhelmed or exasperated by a turn of unexpected events, look (maybe dig?!) for the funny side of the situation." My children are always getting messy, getting into trouble, and who knows what else. I need to remember to laugh and remind my husband to do the same. It takes time to get past the initial anger at what wasn't accomplished and realize that the kids are just being kids. In this case, the three boys needed to grieve in their own way...which didn't involve burying their deceased pet. Sometimes we need to remember that kids are kids, not just small adults. Cost: You can buy Amish Values for Your Family from Amazon.com for $8.31. Overall: We give Amish Values for Your Family a 10/10! 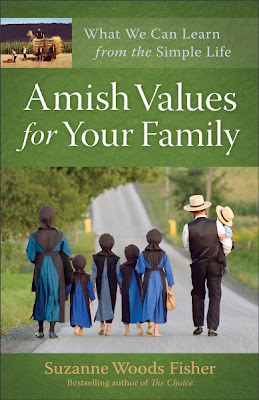 One very lucky reader will win a copy of Amish Values for Your Family! We were sent "Amish Values for Your Family" through LitFuse blog tours free of charge for the sole purpose of this review; no other compensation was received. All opinions expressed are my own.